Anthony Burgess's stage play of his infamous cult novel and film of the same name. Anthony Burgess's play with music, based on his own provocative 1962 novella of the same name, was first published in 1987. 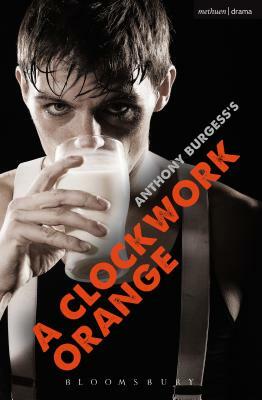 A Clockwork Orange was made into a film classic by Stanley Kubrick in 1971 and was dramatizes by the RSC in 1990. Anthony Burgess was born in Manchester in 1917. From 1954 to 1960 he was stationed in Malaysia as an education officer - during this time he started writing The Malayan Trilogy. Diagnosed with an unoperable brain tumour in 1959, Burgess became a full-time writer and went on to write a book a year up until his death in 1993. His many works include: The Complete Enderby, Tremor of Intent and The Kingdom of the Wicked.